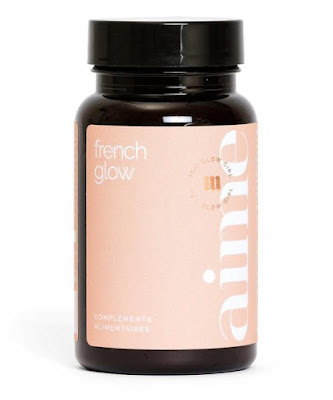 Reinvent your beauty routine with the Glow capsules from Aime. Aime believe that you need to look within for the answers to your skin problems and treat the cause not the effect, they want us to rethink our approach on skin care by returning to basics and starting from the inside. Aime use gluten free and allergen free formulas in plant capsules that are for good preservation of ingredients and better absorption by the body (including sensitive stomachs) making sure you can absorb all the goodness from each capsule. Aime have broken your needs down with their three supplements so you can find the one that works best for you and if you resonate with all the needs they advise you take all three in a combination that works for you. Reinvent your beauty routine with French Glow capsules from Aime – supplements that promote healthy and flawless complexion for a natural French-girl glow. Working to perfect skin from the inside, each French Glow capsule contains a super-powered blend of borage, hyaluronic acid, alpha lipoic acid, eschscholzia californica and probiotics – your daily hit of superfood, all in one. Exclusively developed by Aime's in-house R&D team along with micro-nutritionist Valérie Espinasse, these supplements are a simple saviour for dry skin (and all other skin types! ), as well as dermatitis and rosacea sufferers. Working to purify skin from the inside, each Pure Glow capsule contains a super-powered blend of magnesium, turmeric, spirulina, zinc and probiotics – your daily hit of superfood, all in one. 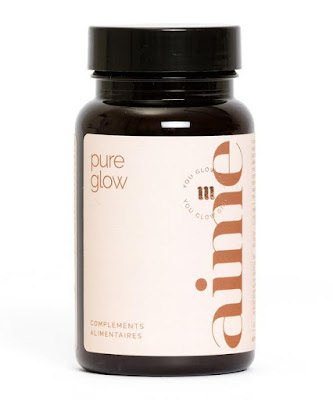 Exclusively developed by Aime's in-house R&D team along with micro-nutritionist Valérie Espinasse, these supplements are a simple saviour for generally problematic skin, period-affected skin or a complexion in need of a reset. You have normal, dry or oily skin (all skin types). 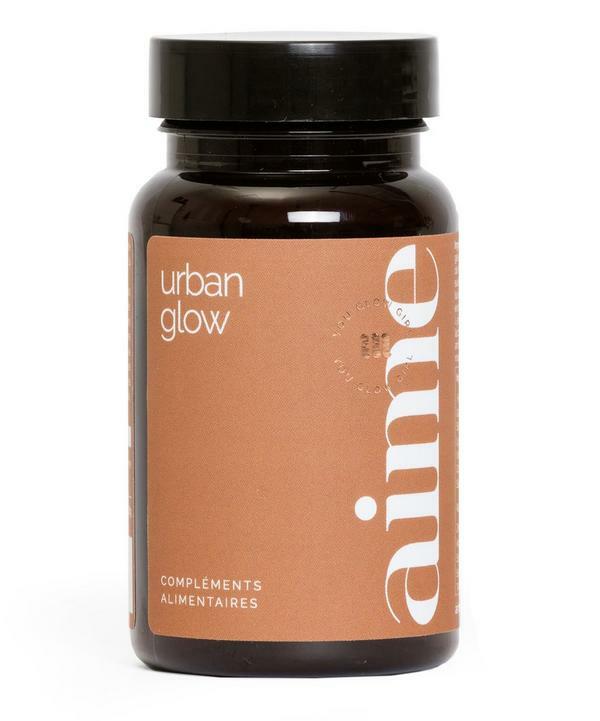 Reinvent your beauty routine with Urban Glow capsules from Aime – supplements that treat skin to an antioxidant boost for superior protection from pollution, environmental stress and artificial heat. 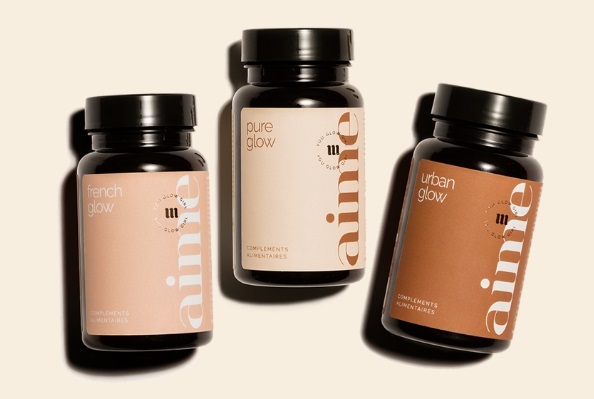 Working to nourish and protect skin from the inside, each Urban Glow capsule contains a super-powered blend of evening primrose, lady's mantle, spirulina, lycopene, vitamin C, saffron and probiotics – your daily hit of superfood, all in one. Exclusively developed by Aime's in-house R&D team along with micro-nutritionist Valérie Espinasse, these supplements are a simple saviour for urban dwellers or post-menopausal women.